Amazon informed its customers of the planned closure in an email to subscribers. 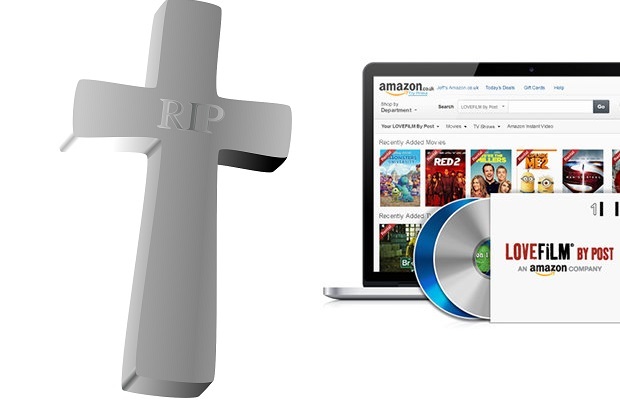 The email states that users of Lovefilm By Post – the service bought by Amazon back in 2011 – will no longer be able to rent DVDs and Blu-rays from 31 October. Amazon cited a "decreasing demand" for the discs and a growing number of customers who were streaming movies and TV series instead. “Due to this, we will be closing the Lovefilm By Post service on 31st October 2017.” The company adds that until this point, rentals will go on as before, and there will be no more bills after 30 September 2017. Lovefilm was founded in 2002 and acquired by Amazon in 2011, when it had more than 1.4 million subscribers. For a monthly subscription fee, Lovefilm customers could receive a DVD or Blu-ray disc of their choice via post that they would send back once watched. From 2010, some content could also be accessed via online streaming instead. The closure marks the end of one of the early pioneers in online rentals, as services such as Lovefilm and Video Island that first challenged the likes of Blockbuster Video. Now it appears streaming has done the same to postal rentals. The move has upset some customers, with some pointing out the limitations of current streaming services, such as slow broadband speeds, a smaller selection of titles and less subtitles and closed captioning options. The worryingly thing about @lovefilm's closure is it means we have less subtitled content than on @AmazonVideoUK even for the same films. Well @AmazonUK stopping its @lovefilm service is comfortably the worst news I've had this year. So many films not available to stream. A spokesman for Amazon told the BBC it planned to donate Lovefilm's thousands of discs "to charity partners".